Former India captain Mohammed Azharuddin slammed the Board of Control for Cricket in India (BCCI) for dropping Rishabh Pant from the 2019 World Cup squad. 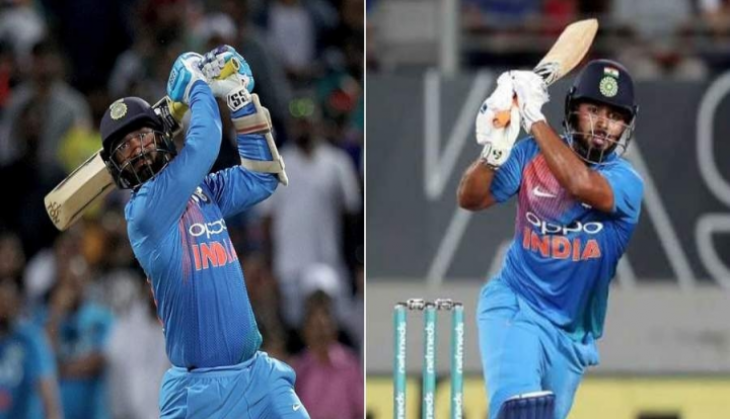 He also said that that Rishabh Pant should have been chosen over Dinesh Karthik for the World Cup team that will play in England. "Is it fair to drop a young cricketer who has performed exceedingly well in Tests in England and Australia. If he is not a good wicketkeeper why pick him for the Tests then. Karthik has been given enough chances. The team otherwise is well balanced and probably the best possible. The batting has depth and bowling looks superb," Azharuddin was quoted as saying by Sportstar. There is still some hope left for the young wicket-keeper batsman as BCCI’s chief selector admitted that Karthik and Pant was the biggest topic of debate in the selection meeting. The reserve wicket-keeper will come in place only if MS Dhoni is injured. The BCCI announced the 15-member World Cup squad on Moday after a meeting with skipper Virat Kohli. Few names came in as surprise for everyone, when Vijay Shankar was included in place of Ambati Rayudu. Few senior players like Ravichandran Ashwin, Ishant Sharma, Yuvraj Singh, Ajinkya Rahane and Suresh Raina did not get a chance to represent their country in the biggest spectacle of 50-over cricket. The tournament will start from May 30 with host England playing against South Africa in the first game. India will also start their campaign against the Proteas on June 5.